Sassy and sleek, the Serena collection is ideal for the modern dweller. It combines light semi-solid oak with a choice of glass and mirrored fronts in Sahara or magnolia coloured glass. The result would work well with hot pinks and greys, or chic neutrals and nudes. 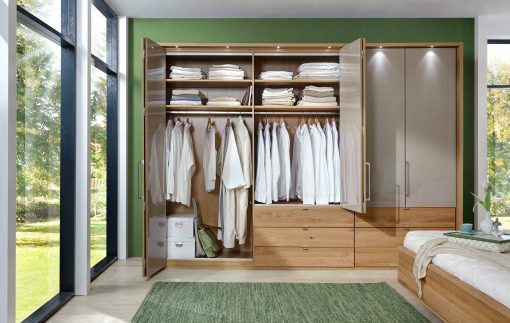 The wardrobes come in a huge range of sizes with bi-fold panorama or sliding doors and multiple door/drawer combinations. Whatever your storage needs, there’s an answer with this range.